Open Daily : 06.30 – 22.00 hrs. 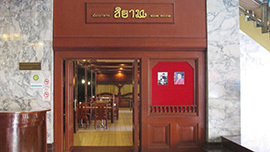 Hong Kong Restaurant, well-known throughout Hat Yai for the excellence of its Chinese cuisine. Open Daily : 17.00 – 22.00 hrs.